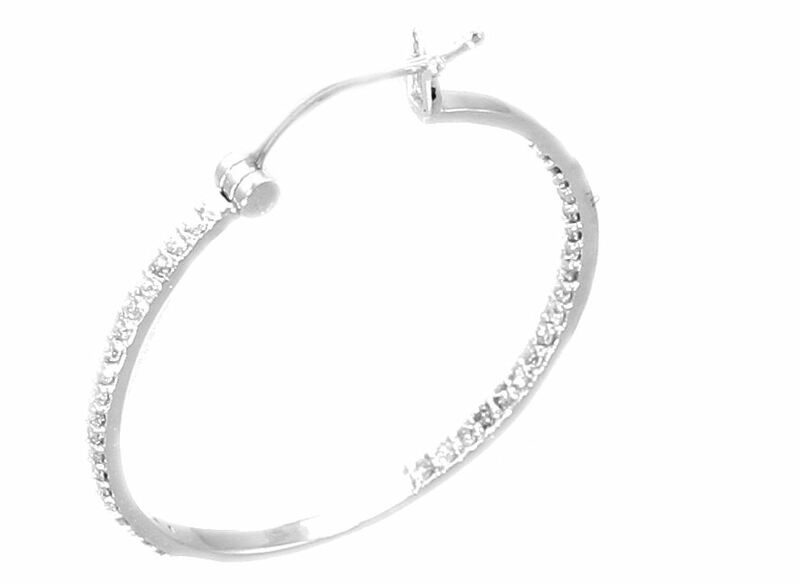 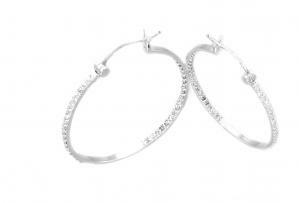 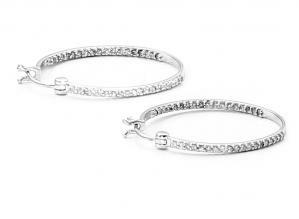 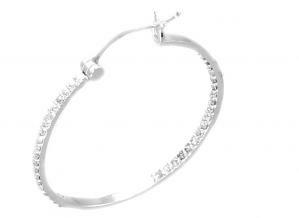 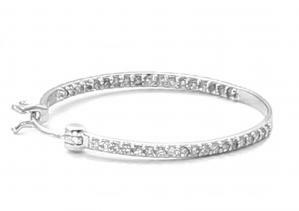 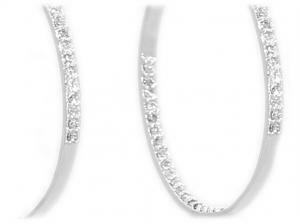 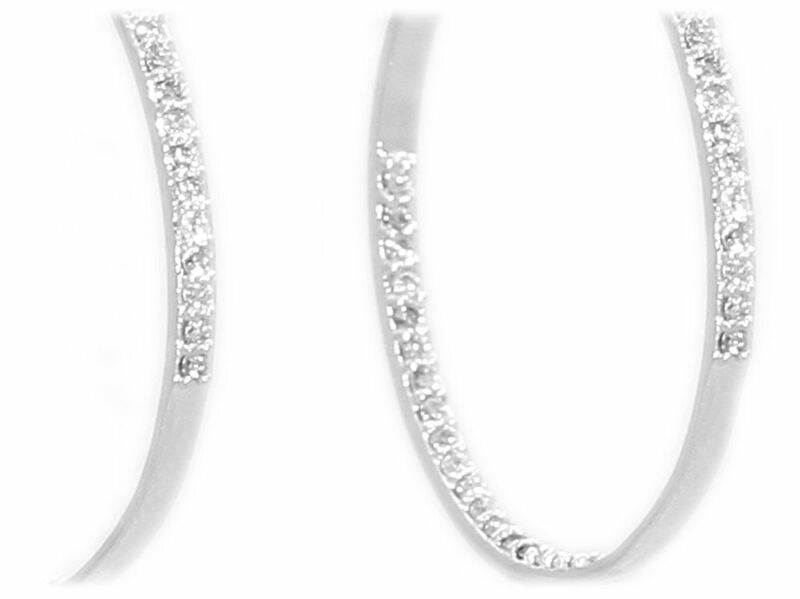 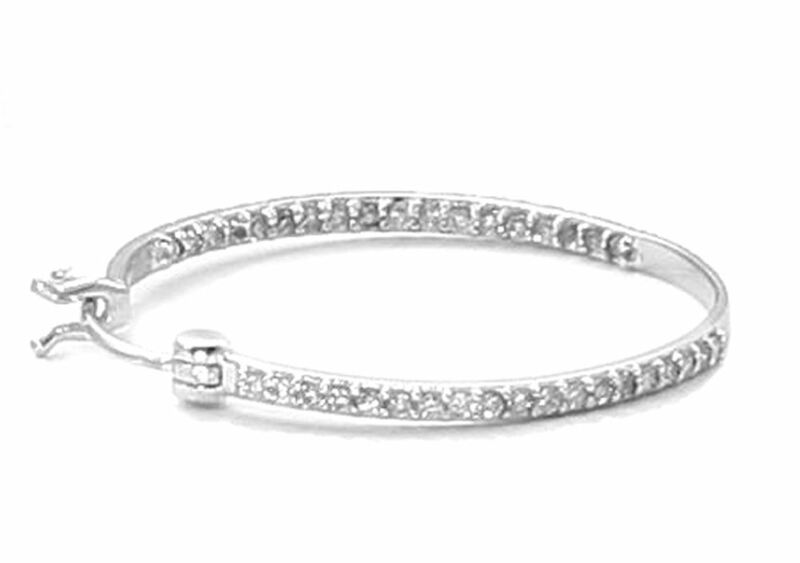 These elegant diamond hoop earrings are beautifully crafted in bright polished 18K white gold. 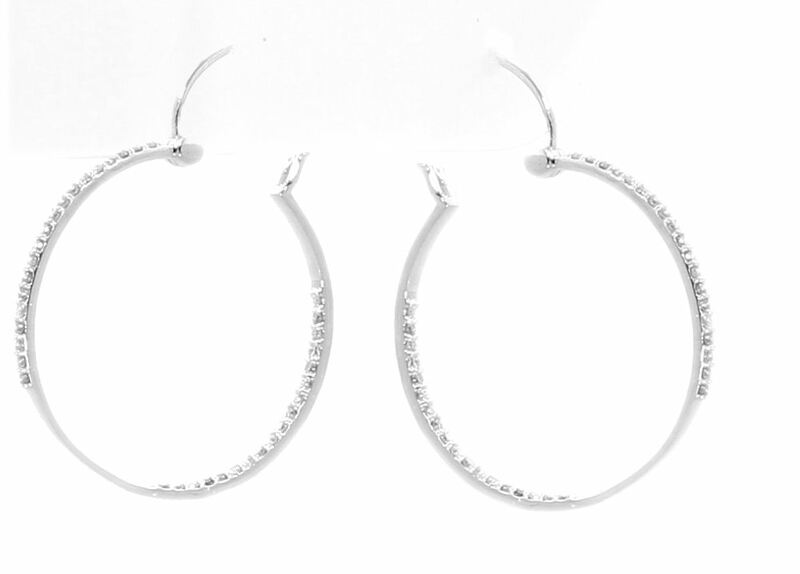 Each individual earring features 19 round diamonds prong set from the inside of the earring's ring and further 19 round diamonds in the outside of the other half of the ring's earring. The total diamonds weight of each earring is 0.19 carat, with 1/2 pointer each diamond. 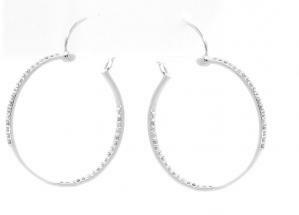 The diameter of each earring's ring is 1.0 inch. 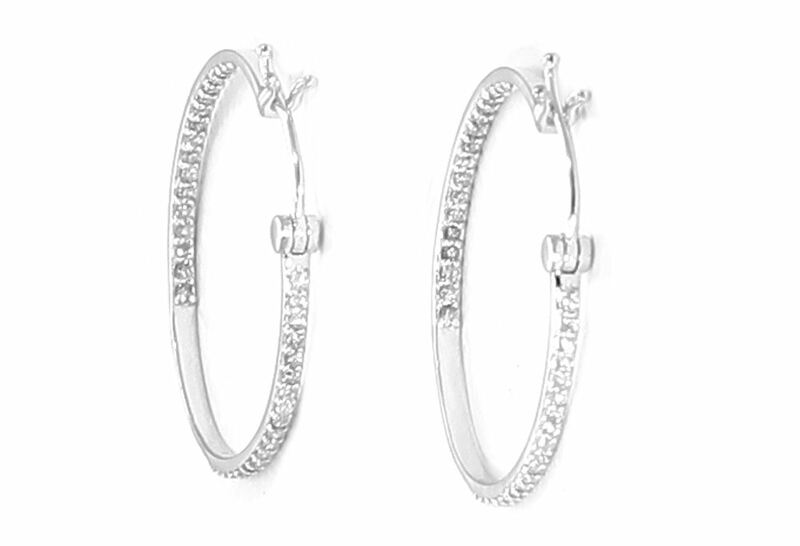 Each earring is secured with a Creole fittings. 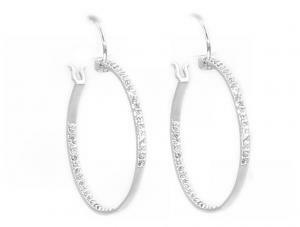 The pair of earrings have a total weight of 3.70 grams and total diamonds weight is 0.38 carat. A Copy of independent jeweller's certificate is provided with this earrings, with a valuation of £600.0.